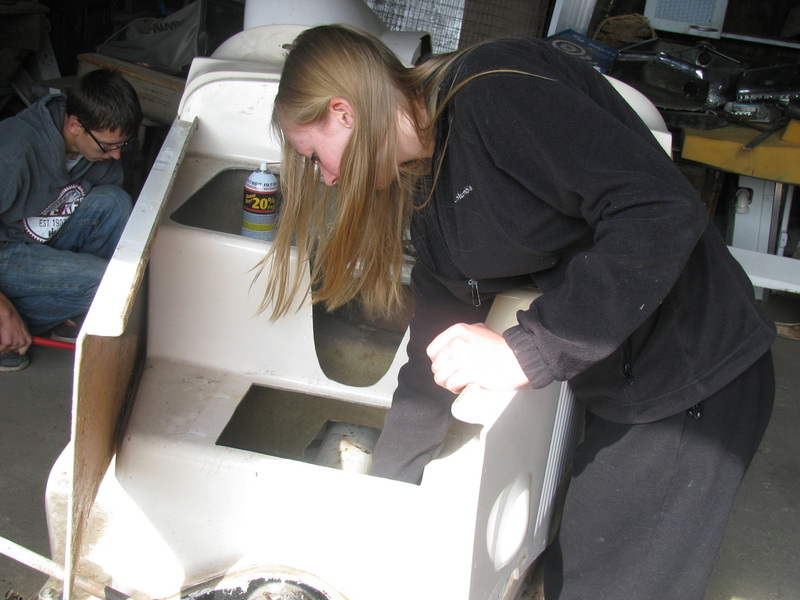 The Environmental Science class is built an ethanol car and still. ​It was on display at the Martin County Fair and has been driven in many parades. ​Watch KEYC-TV's news coverage at the Martin County Fair here. ​The Fairmont Sentinel also gave us great news coverage. Read the full article here. Thank you to AgStar, 3M Foundation and Corn Plus of Winnebago for providing the grant funding for our project entitled "Hands on Experience for Youth in Making and Using Ethanol as a Renewable Energy Source. " Thank you also to the Martin and Watonwan County Chapters of the Corn and Soybean Growers Association of Minnesota for funding the promotion of this project. Soon students will be making ethanol that will be used to fuel the car. 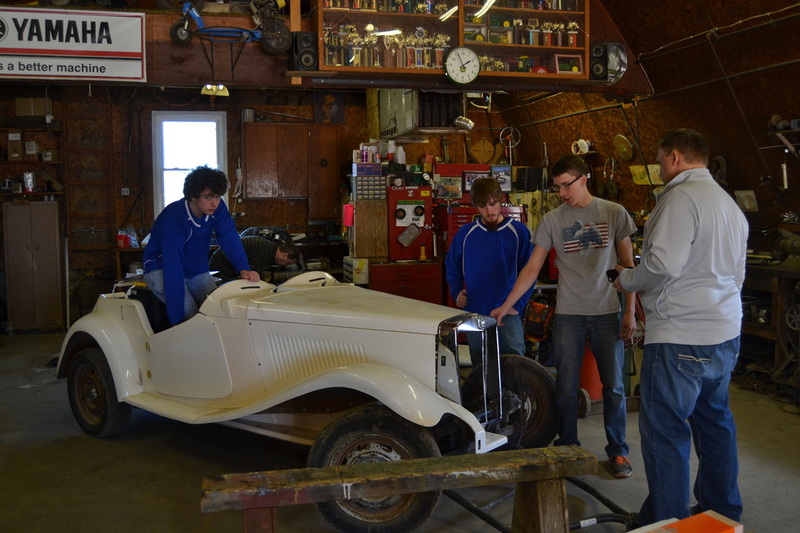 The goal is to have the car drivable in 2016 and feature it in several parades throughout southern Minnesota. 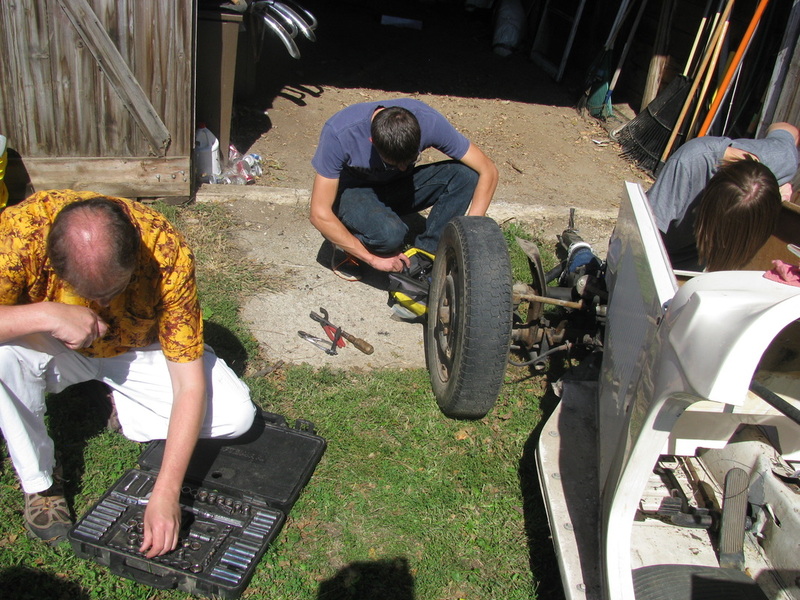 Mr. Nathaniel Watt, Science teacher, is the innovative teacher of this project. 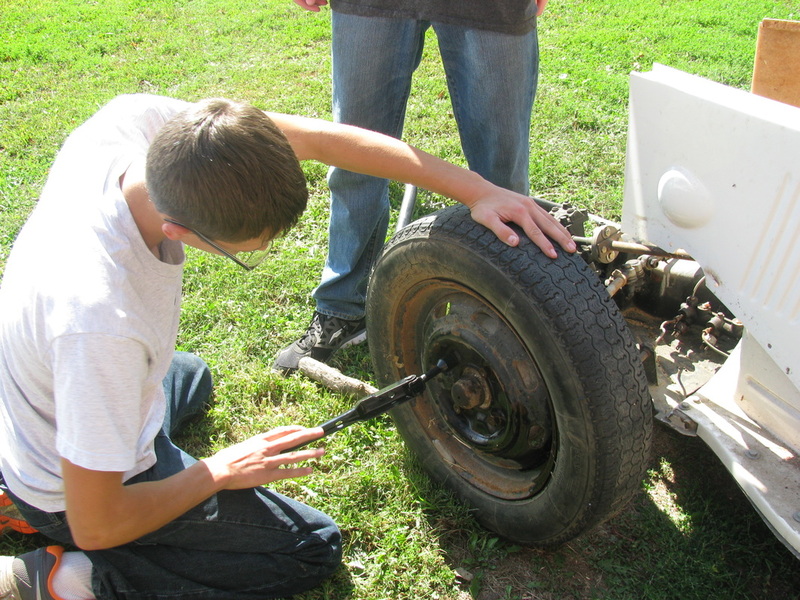 The MLHS Science Department is adding many innovative, hands-on agricultural learning experiences into the curriculum under the expert guidance of Nate Watt, Science Instructor. 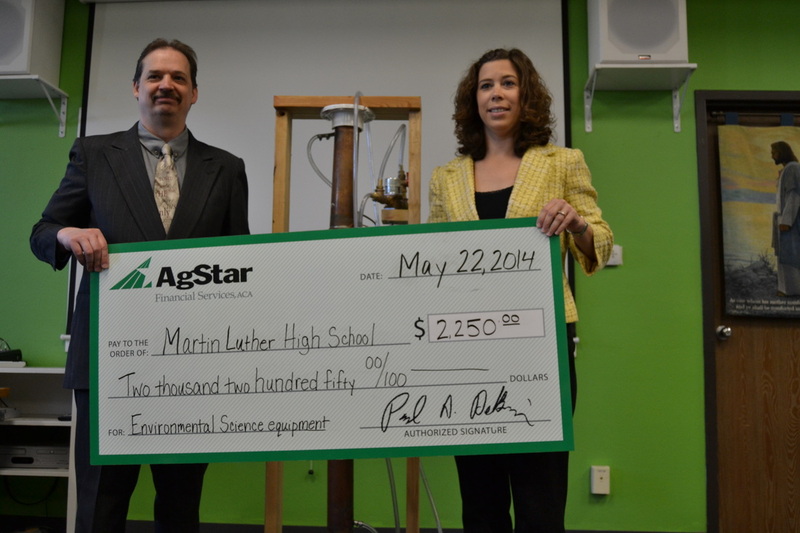 AgStar recently awarded a $2,250 grant to the Martin Luther High School, Northrop Science department through the AgStar Fund for Rural America program. Pictured is Melanie Olson, AgStar Fund Specialist of Apple Valley presenting the award to Nathaniel Watt, MLHS Science Instructor. 3M of Fairmont also partnered in the project assisting MLHS to receive $2,250 in funding from the 3M Foundation. Corn Plus of Winnebago donated $500. 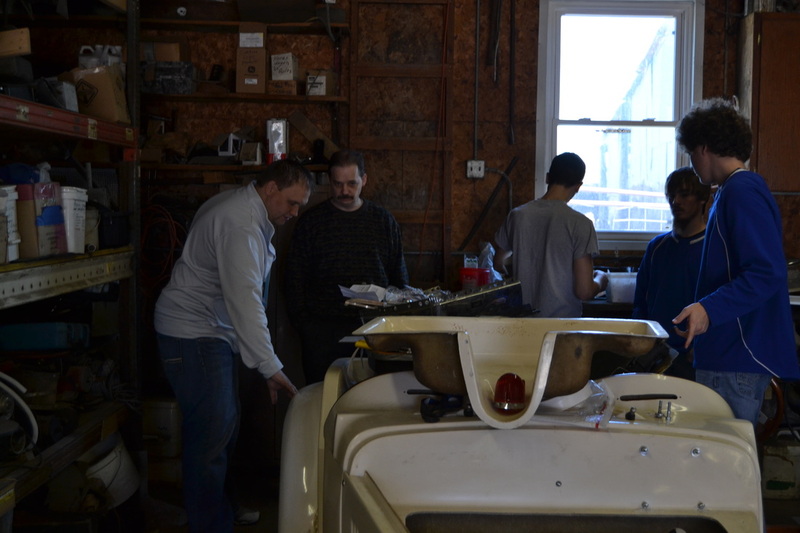 The project will give "hands on" experience for youth in making and using ethanol as a renewable energy source.The funding will go to purchase equipment for Environmental Science students to build a Charles 80 Still that will make ethanol and to build a fiberglass car that will be fueled by the ethanol to be produced. 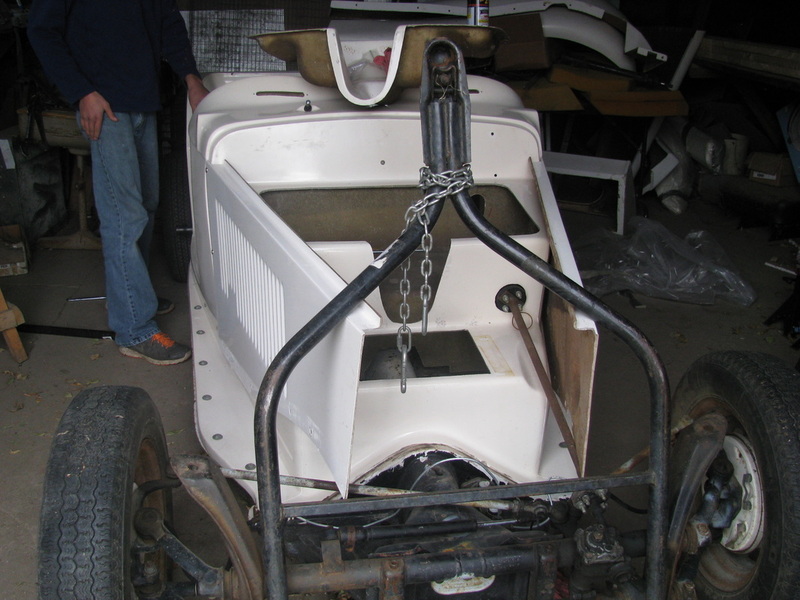 The car (which will be a Volkswagen engine in a 1940's MGA fiberglass body) and project will be featured at parades and area events in the future. The Martin County Board of the Minnesota Corn & Soybean Growers are providing up to $2,250 of local and state funding to promote the project and The Watonwan County Corn and Soybean Growers donated $1,000 also to help promote the project. Their funding will provide the vinyl graphics advertising on the car and purchase the grain needed to make the ethanol. Thank you to these fine organizations for their support of this exciting project.